Given the many reactions to the broadcasts by NOS and Omrop Fryslân on 1 and 8 November 2009, we would like to give a general explanation about your application for financial support. In order to qualify for a maximum scholarship of € 2,000 a year, a number of conditions must be met. 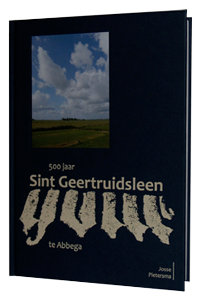 These conditions are recorded in the “Regulations concerning the granting of the Sint Geertruidsleen in Abbega, established by lord Goffa in his will of 9 July 1508” (Reglement op de begeving van het Sint Geertruidsleen te Abbega, ingesteld door heer Goffa bij testament van 9 Juli 1508). Please submit the completed application form, accompanied bij the required documents and any explanatory notes before 30 June to the secretariat. The scholarship are paid out in for equal parts om 31 October, 31 January, 30 April and 31 July. If all conditions are met, you do not have to pay back anything. If you think that you qualify for a scholarship, we advise you to contact [….] in due course, as referred to in paragraph 4 of the foregoing extract of the regulations. On behalf of the Board of the Sint Geertruidsleen.